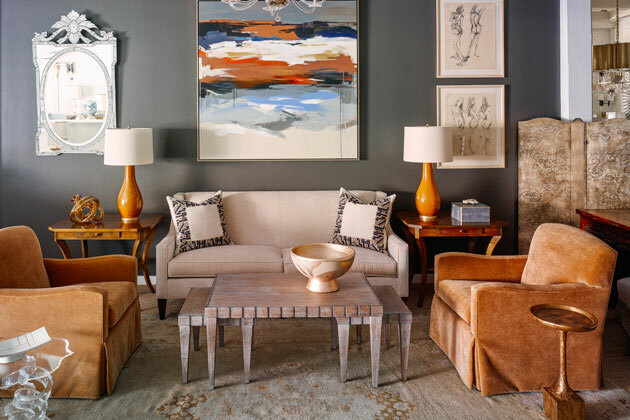 Opened in January 2000 by Stuart and Kristin Darnell, Darnell & Company is a 5,000 square foot ‘to the trade’ showroom located in Charlotte, North Carolina. Based on years of experience as a sales representative in the furniture industry, Stuart had a vision to open a trade only showroom as a venue for the design trade to bring their clients. 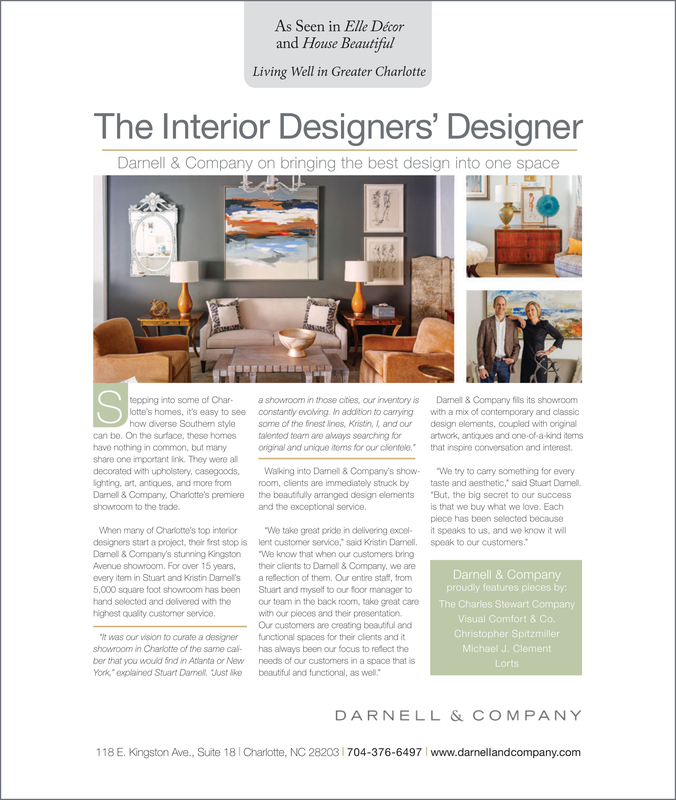 For the past 13 years, Darnell & Company has collaborated with clients to fulfill their creative visions in upholstery, casegoods, lighting, art and antiques.